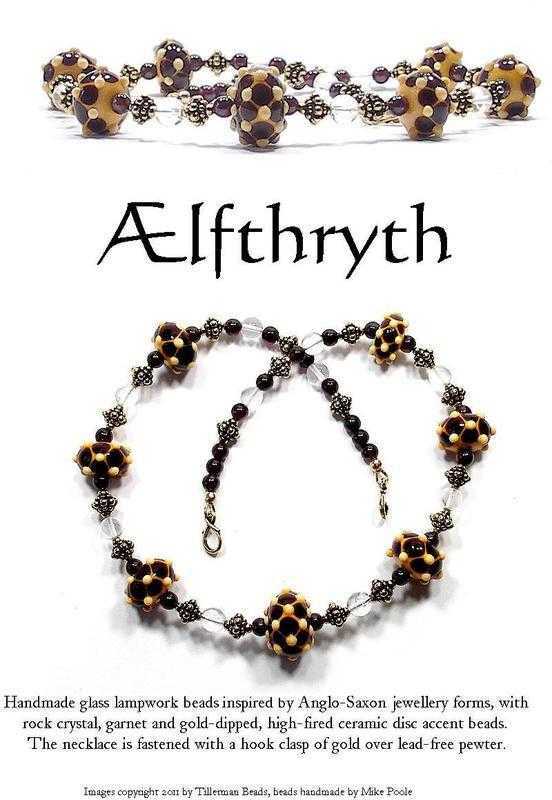 'Ælfthryth' means 'elf strength', which describes this Anglo-Saxon inspired necklace with specially designed lampwork beads that reflect the richness of the gold and garnet work found in many Anglo-Saxon works. The necklace is made of these special beads, accented with rich garnet and rock crystal beads which were favourites of the Anglo-Saxon nobility. The accent beads and clasp are beautifully cast pewter that has been gold-plated. The necklace measures approximately 17.5 inches/44cm.